Hark Up is a non-profit 501©3 music and arts ministry that operates on a volunteer basis made possible by Sponsors and Donors just like you! Thanks to your generous donations we are able to continue to share the power of music throughout West Michigan. Please consider donating today. Remember that all gifts are Tax Deductible. The idea for Hark Up Ministries began on the stage at the final Rock Vespers performance in 1998. 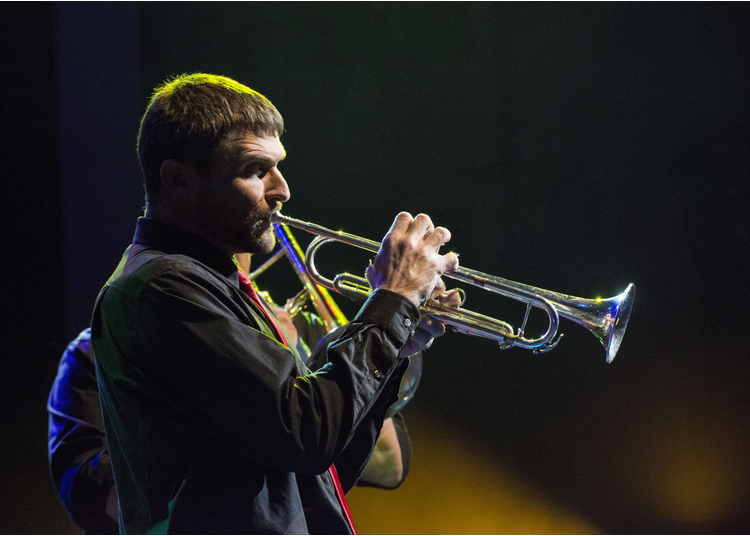 Chris R. Hansen, a talented arranger and trumpeter for the show, realized there was an opportunity to continue the idea that popular Christmas songs could provide a great platform to share the story of Jesus’ birth. There was already an audience that had made a tradition of coming to hear this music and they needed a show to attend next year. 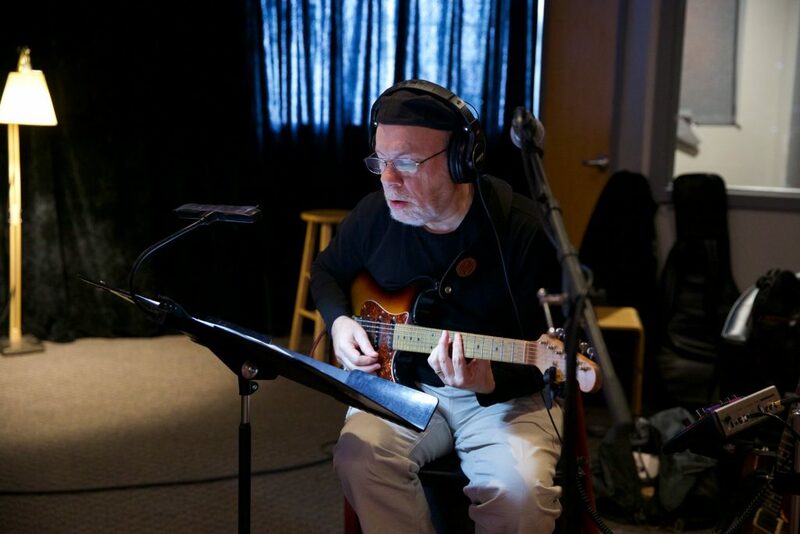 Together, with like minded musicians, Chris created large ensemble versions of these popular songs and drew the talent needed to take the show to the next level. The first Hark Up Christmas Show was staged in 1999 at Fair Haven Ministries with about 150 participants. Always searching for a new and interesting way to share the story of Jesus, the show over the years has grown into a multifaceted artistic juggernaut that has included talented Singers, Drama, Visual Art, Light Shows, Children’s Choirs, Dance Troupes, Magicians, and High School Drum Lines along with a large Big Band and 100 Voice multi-generational Choir. Now with over 300 participants, Hark Up is a large community that comes together each December focused on sharing the Love of Christ through the artistic gifts we have to share. About 5000 people attended Hark Up 2018 through 5 performances at the DeVos Center for Arts and Worship at Grand Rapids Christian High School. 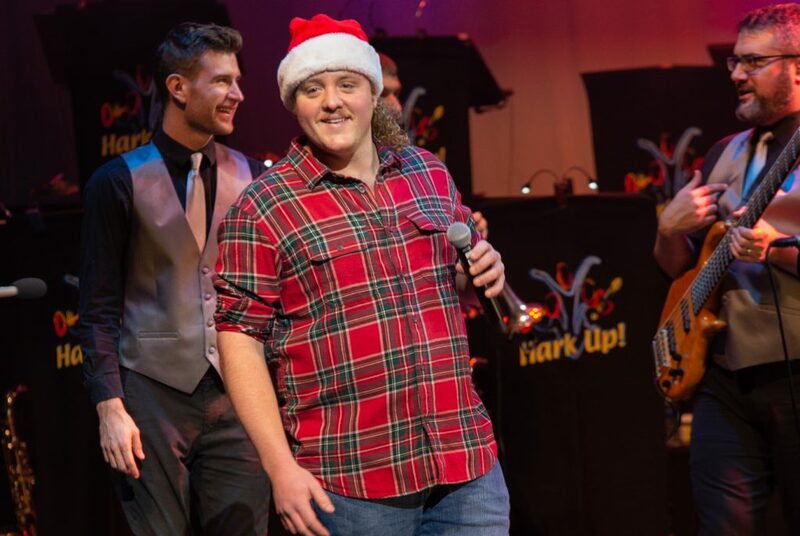 Because of the show’s success, Hark Up has grown into a year-round ministry providing uplifting performances all over West Michigan. Musical groups large and small provide positive message based entertainment at over 70 events a year. 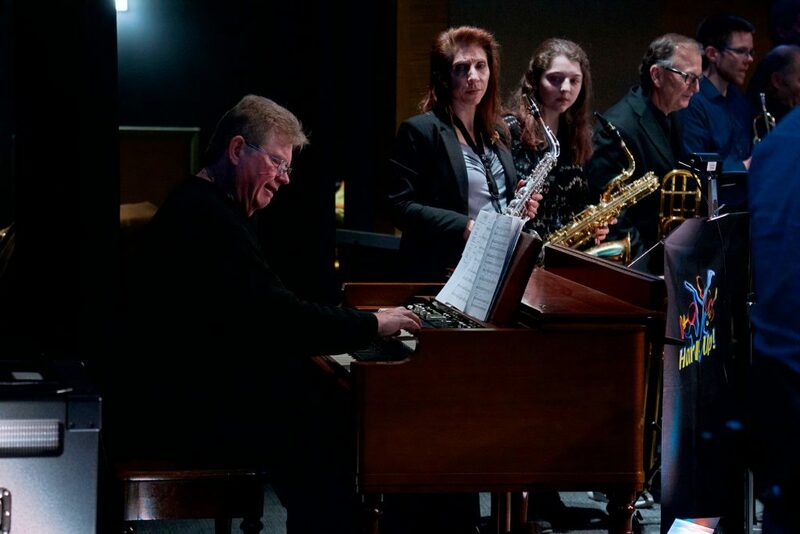 The Hark Up Horns Big Band performs at Festivals, Swing Dances, Weddings, Community and Corporate Events, as well as outreach to schools and student groups throughout the area. Hark Up Worship provides music for Church Services, Special Needs groups as well as Christian Conferences and concerts such as Worship on the Waterfront. We also provide musical support for top touring Christian performers and a Patriotic series of concerts celebrating Veterans in West Michigan. Chris R. Hansen is a native of Greenville, Michigan. Chris graduated from Western Michigan University with degrees in Music Education, Music Theory, and Theatrical Arts. Chris completed his master’s degree in Church Music/Worship Leadership at Western Seminary in Portland, Oregon. After completing his degree, he taught in the areas of drama, worship and music, and served churches in the Portland area. Chris returned to Michigan 19 years ago to continue serving in music ministry. Chris now works as a freelance music arranger for Hansencharts LLC, composer, and is the Music Director for the Day Break Service at Community Reformed Church in Zeeland. In 2007 Chris began Hark Up Ministries with a group of dedicated colleagues to help promote God honoring arts in West Michigan and beyond. Chris is very blessed to have an understanding wife Nancy, and two talented sons, Nathan and Geoffrey. Chris uses his middle initial “R” so he is not confused with that guy from “Dateline”. 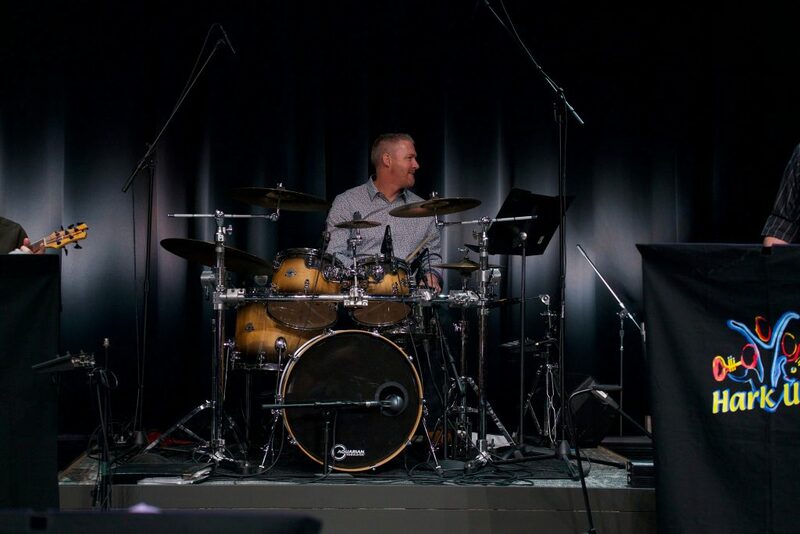 Scott Pedersen was born to drum, having played percussion since he was five years old. A native of Chicago, Scott played for six years in a band called Lonesome Soul. 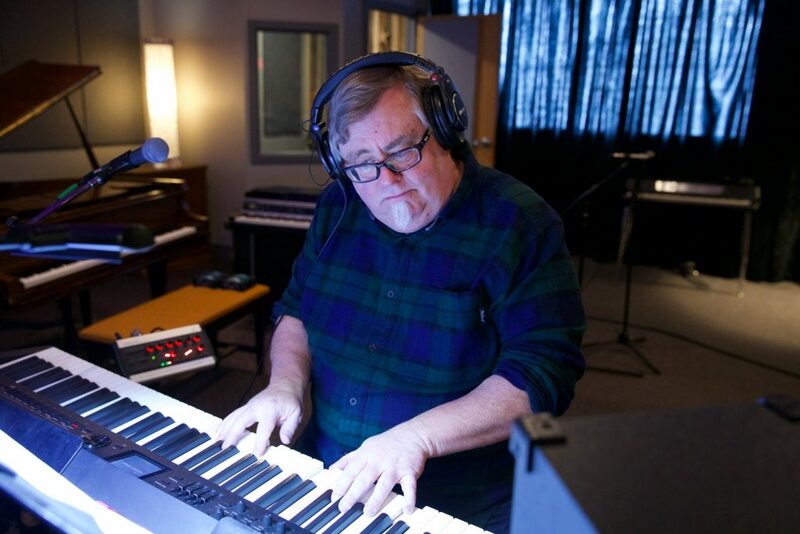 In addition to playing with many of the Hark Up Music/Productions ensembles, Scott has been fortunate enough to perform with multiple Grammy & Dove award winning artists such as Amy Grant, Michael W. Smith, and Don Moen, to name a few. He can also be seen playing with various local bands and theatre productions. Scott is a financial advisor and partner with Edward Jones Investments. He and his wife Sara live in Holland and are raising four more avid Bears fans! Jeffrey is proud member of the Hark Up Horns and a Board member of Hark Up. He is President of Southwestern Oil Company and a partner in Hathaway Properties in Greenville. Jeffrey’s wife Caroline owns and operates Grand Rapids Running Tours. They have two children Anne and Peter. After raising their two children in Greenville, Jeff and Caroline moved to downtown Grand Rapids and love every minute of living there. He thanks his entire family for their support. 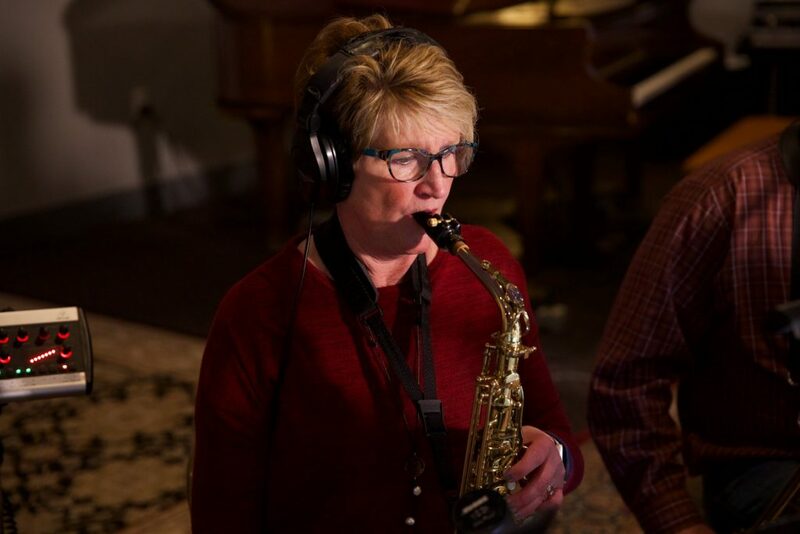 Charlie Royce studied saxophone at the Interlochen Arts Academy GRCC and Aquinas College. After 30 years He still remains an active performer in the area playing jazz and popular music with several groups. He is also a regular participant with Hark Up Music/ Productions ensembles. Not only has he played since the first show in 1999, but the name “Hark Up” is a product of his creativity, wit and humor. He and his wife Angie are the parents of two children. He is the President of Royce Rolls Ringer Company and director/manager of the musical groups Shimmie Pearl, the Moodswings and The Downtown Horns. David Tanis graduated from GRCC with a major in music. He plays as often as he can in various groups and churches. Dave owns and operates Tanis Trucking in Jenison. He has played with Hark Up since the first show in 1999. Hark Up would also like to thank Dave for his help in storing Hark Up gear, transporting it and for providing space for the creation of the Christmas Show Sets. 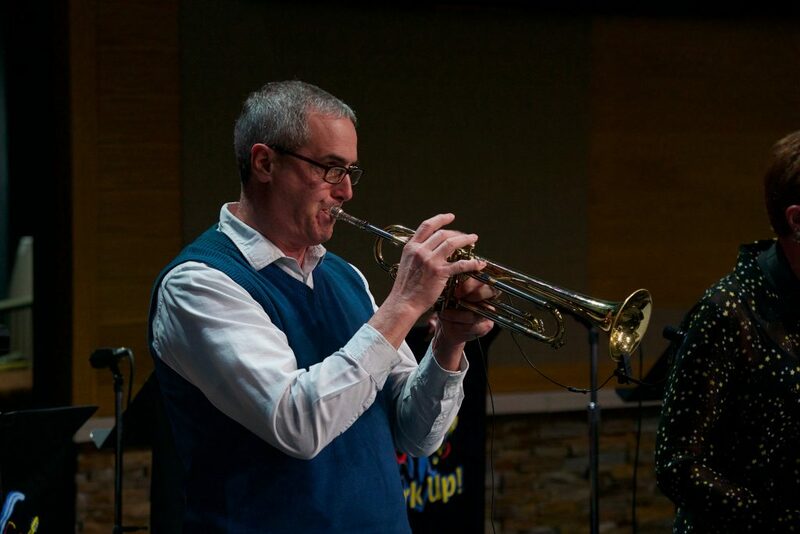 Jeff Ayres has been the lead trumpet player for Hark Up since the first year! Jeff is the Band Director at Greenville Middle School and Trumpet Teacher/Jazz Ensemble Director at Alma College. He enjoys boating, golfing, and vacations with his lively wife, Susan, (an elementary school principal) and daughters, Danielle (a Chiropractor in Portland OR), and Megan (a Junior at MSU headed for Kenya for study abroad this January). Mike Truszkowski is the high school band director at Spring Lake Public Schools. He has a masters degree in music education from CMU and has been teaching music for 20 years. 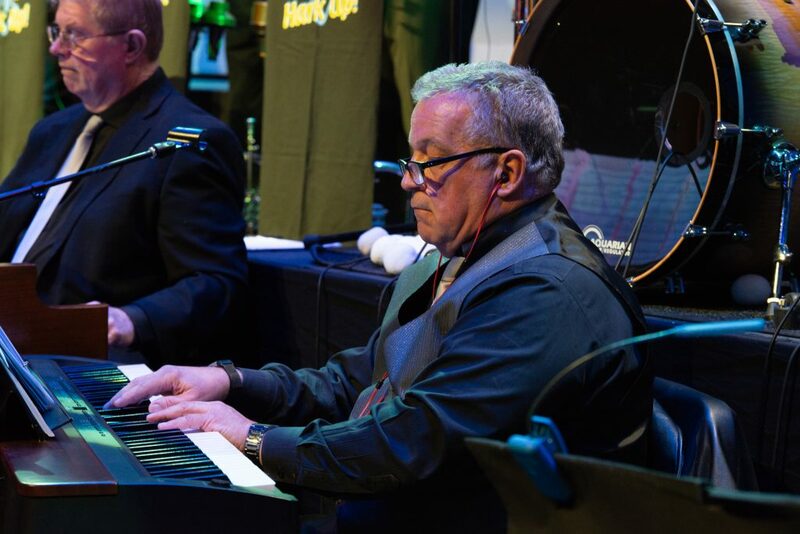 He performs regularly with Hark Up, local big bands and The Hip Pocket. He and his wife Michelle are the parents of four wonderful children. Gary McCourry is a member of the praise band at Christ Lutheran Church in Wyoming. He returned to Michigan after retiring in October of 2009 from a 23-year career as saxophonist in the West Point Band, one of the Army’s premier musical organizations. He served for 9 years as alto and soprano saxophonist in the West Point Concert Band and for 14 years as baritone saxophonist in the West Point Jazz Knights, retiring as enlisted group leader of the Jazz Knights. 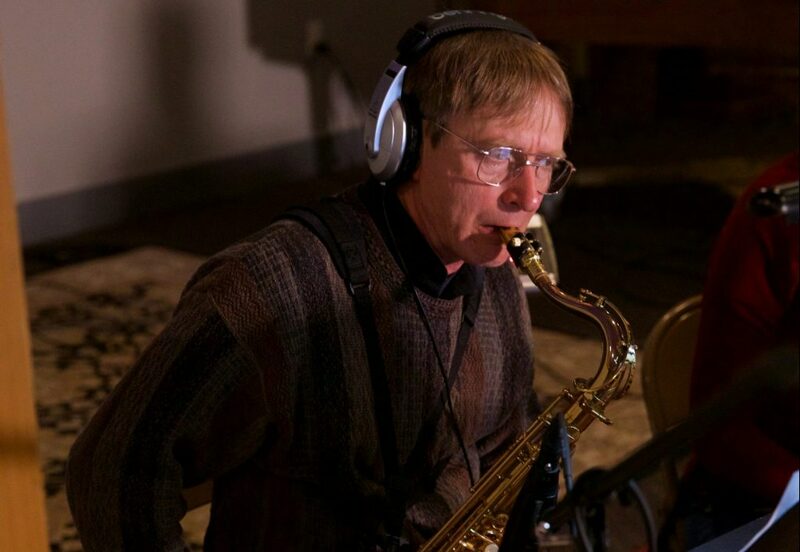 Gary holds a Bachelor of Music degree with majors in Applied Saxophone, Music Education, and Jazz Studies from Western Michigan University, where he studied saxophone with Trent Kynaston. He also holds a Master of Music degree from Indiana University with majors in Jazz and Woodwinds. While at IU he studied saxophone with the renowned Dr. Eugene Rousseau. 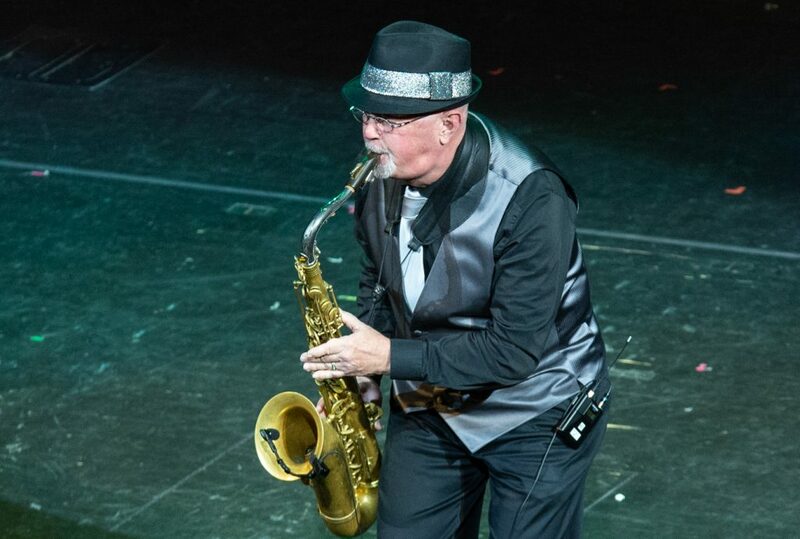 Now residing in Dorr, Michigan, Gary maintains a busy schedule teaching private woodwind lessons, performing for Circle Theatre and Grand Rapids Civic Theatre, and playing with several area groups. 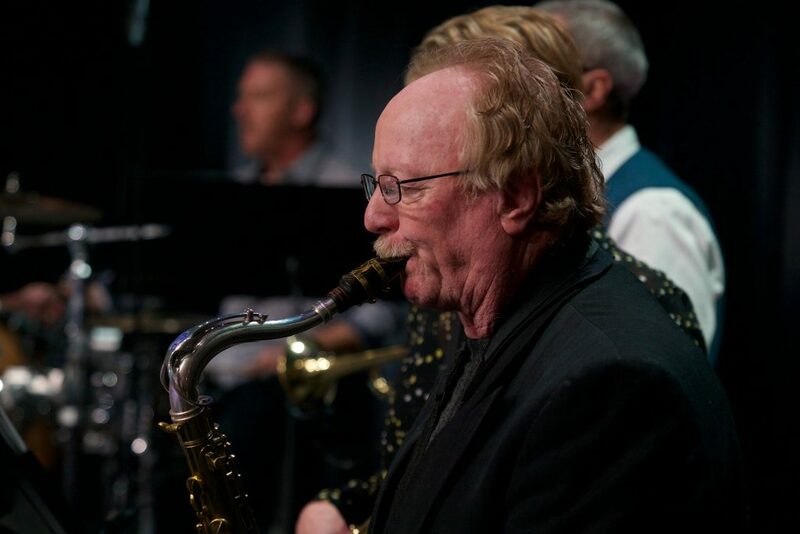 While serving in the US Navy, Jim was assigned to numerous bands and performed in all saxophone positions, doubling on flutes and clarinets as required. At the conclusion of his 28 year military tenure, he was the lead alto player for the US Navy Band Commodores (the Navy’s official jazz big band) in Washington, DC. 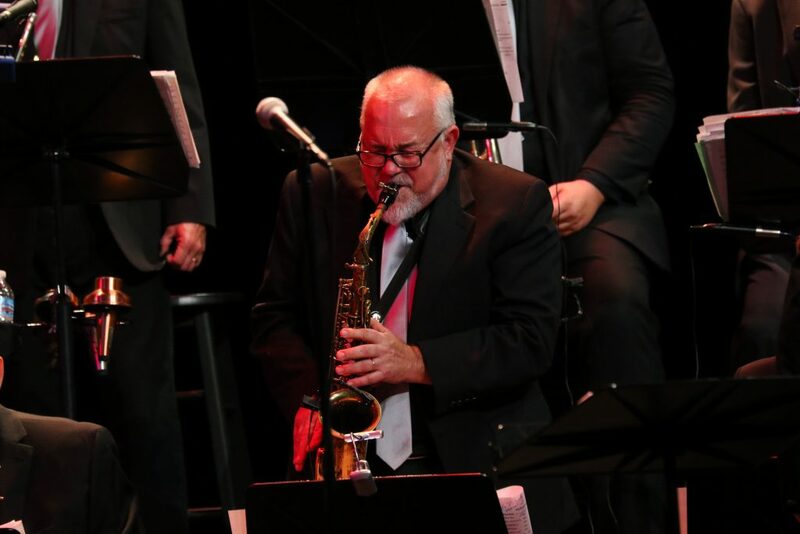 Recognized as one of the finest jazz saxophonists around, Jim has appeared nationally and internationally in concert with the Temptations, Rosemarie Clooney, Natalie Cole, and Jazz Cruise appearances with Frank Capp’s Juggernaught Band. He is featured on numerous recordings, including his own album, “Coronado Sands”. 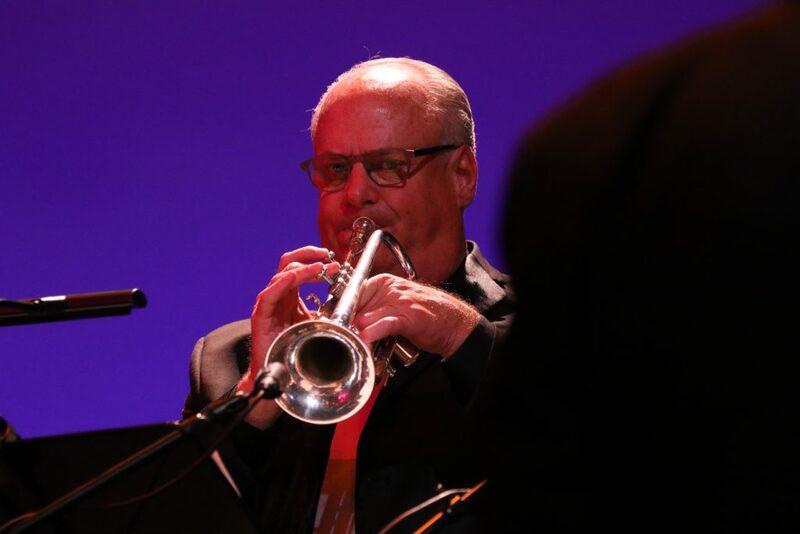 While residing in South Florida, Jim performed regularly with a number of South Florida’s finest musical organizations, including Peter Graves Orchestras, the Bob Hoose Big Band, and the Palm Beach Pops. 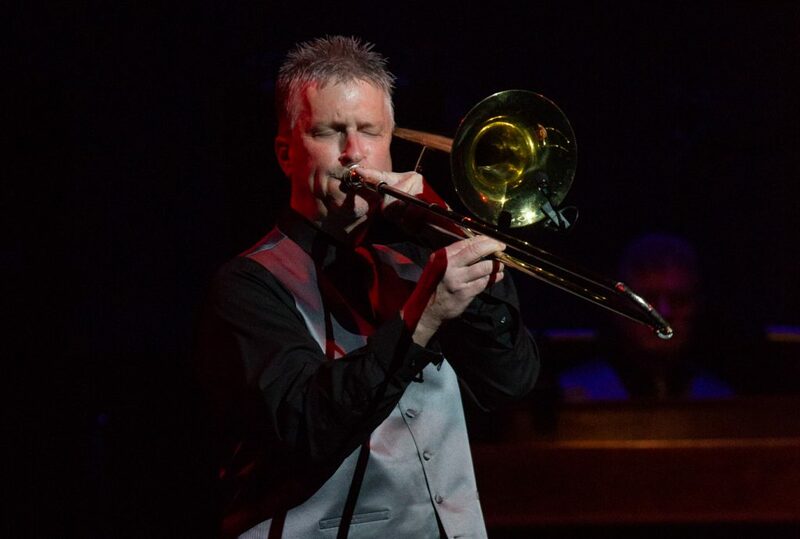 Since moving to Grand Rapids, Michigan, Jim has had the good fortune to perform with the Grand Rapids Jazz Orchestra, and the Gull Lake Jazz Orchestra. Dana Laswell is a Muskegon High School and Western Michigan University graduate, earning a bachelors degree in Music Education. 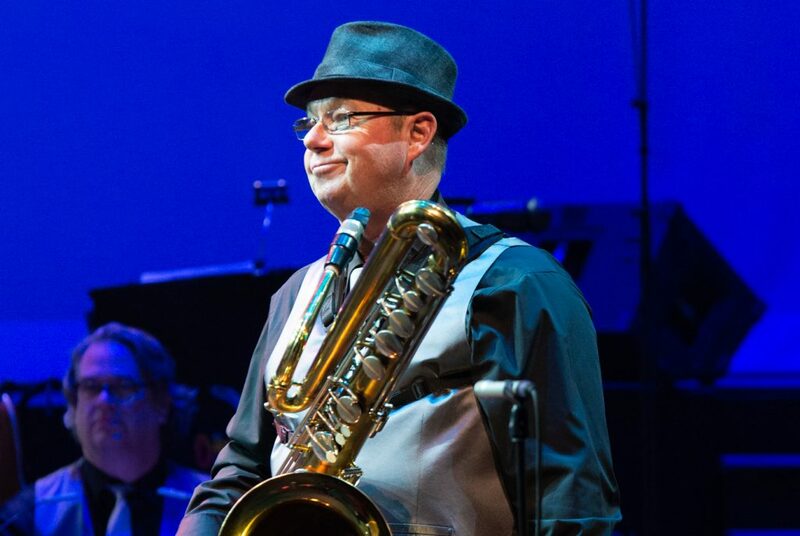 He’s played soprano, alto, tenor and baritone Saxes for Hark Up. In 1984 he auditioned and was accepted in the United States Navy Band where he traveled and lived worldwide performing in every continent except Iceland. After retirement in 2004, he auditioned and was accepted as a show band woodwinds musician for Carnival Cruise Lines where he traveled the Pacific and the Caribbean for the next six years. He played his last cruise in Apr 2010. 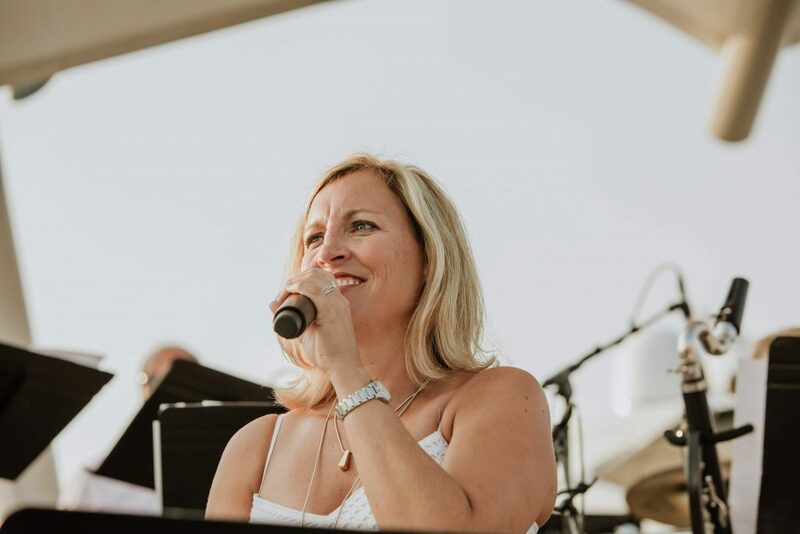 An active performer in the area, Dana subs with numerous bands playing any musical style from big band jazz to classical. Joe Mason studied trombone at the University of Michigan. He is an active performer with Hark Up and a member of local R&B horn band The Blue Water Kings. He has recorded with Integrity Music artists Israel Houghton, Marvin Sapp and Ken Reynolds. Aaron Hettinga brings a diverse background of musical experience to Western Michigan. 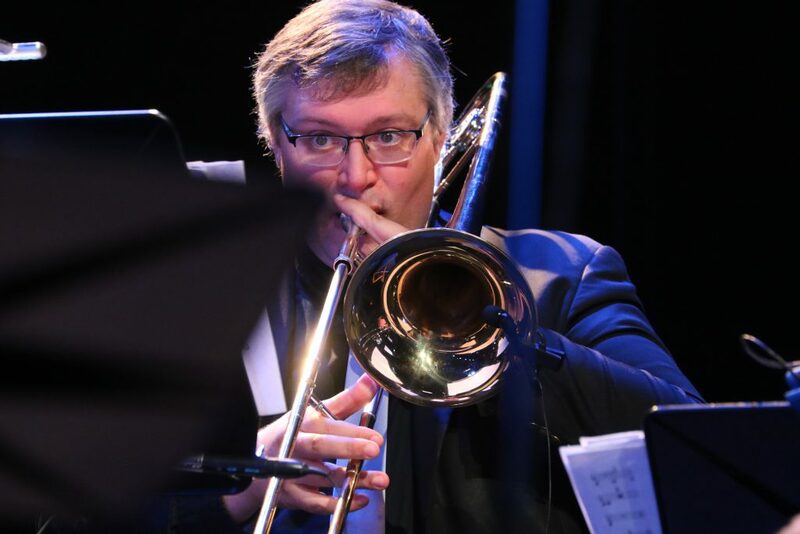 He performs regularly as a trombonist with the Horns of Power and as Bass Singer/ Keyboardist/Bassist with Classic Fun, a West Michigan-based nostalgia music variety act. 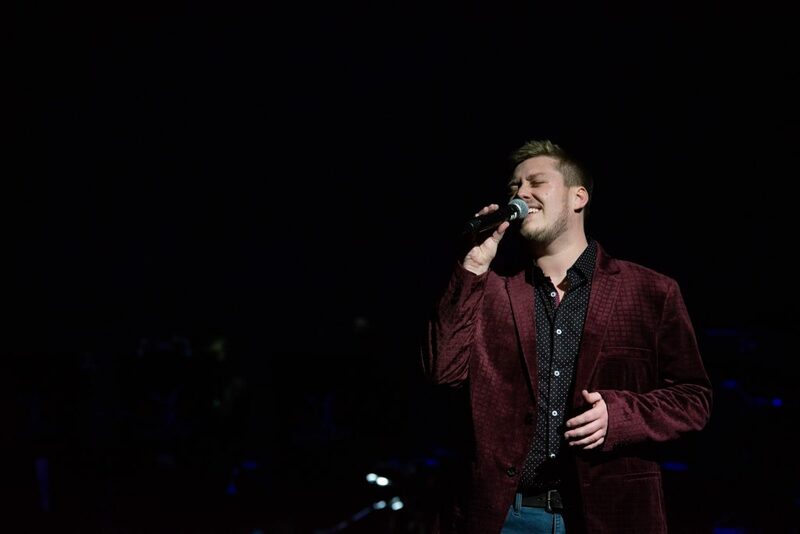 He has also performed as featured soloist with the University of Wisconsin-Whitewater Symphony Orchestra, Calvary Church’s Festival of Lights, and Hark Up. Aaron has arranged music for concert band (published by Daehn Publications), orchestra, big band, vocal groups, and other various small and large instrumental/vocal ensembles in both religious and secular settings. He also operates Music Printers, www.musicprinters.com, a musical notation and transcription service with an international client base. Andy is thankful to be playing bass guitar for Hark Up! 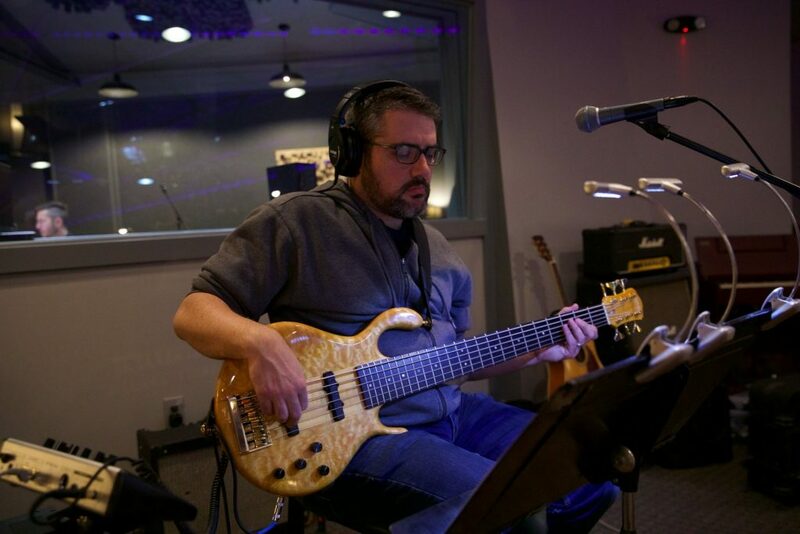 He is a software engineer by trade, but has been playing bass in church and other venues for the last 20 years, including being fortunate enough to play at the Montreux Jazz Festival in Switzerland. After meeting his wonderful wife, Molly, in Texas, they decided to move their family back up north two years ago, just in time for some of the craziest winters in recent memory. Andy enjoys playing softball and tennis, as well as spending as much time as possible with his wife and two young children. Andy would like to thank Molly for being so loving, supportive and encouraging, and his parents for creating a legacy of music and faith in his family growing up that he will surely pass down to his kids. Joy Nienhuis lives in Rockford with her husband Aaron and four children, Riley, Carlie Molly and Avery. She is employed as the office manager at Rising Starz Gymnastics. She participates in the music ministry at Bridgeway Community Church and also sings with BPOP (Big Band of Praise). Joy is thankful to God for the opportunities to return the gift of music He has given her. She is also thankful for the love and support of her family and friends. Angie Royce discovered singing in her early teens. She has been part of Hark Up since it’s early beginnings in 2000. 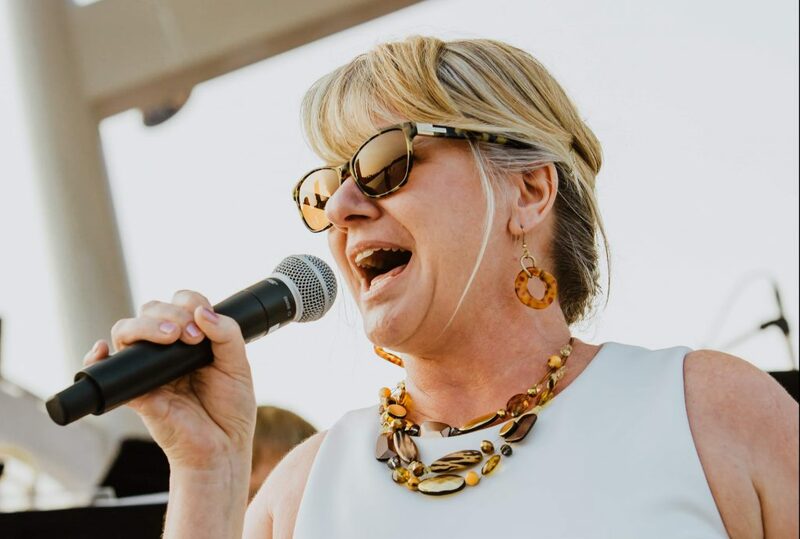 Besides being a regular with the Big Band swinging on the occasional Tuesday night for GROSS, she also sings with Shimmie Pearl, a band that covers a great mix of music from the 70’s and 80’s and Mood Swings, a jazz combo. She is really excited to see how God continues to use music to touch our hearts and speak to us in ways that don’t always need words. Shannon Dykstra is no stranger to Hark Up. She attended the very first Hark Up Christmas program in 1999 never knowing that 4 short years later she would be on the same stage with some of the most talented and amazing musicians in the area. Now, 15 years later, she considers herself fortunate to continue the Hark Up tradition and is very thankful for the support of her family year after year. Shannon has also been a part of “Cabaret” which takes place in Allegan every spring and benefits the Wings of Hope Hospice. Shannon resides in Dorr with her husband Jody and her three children Sydney, Jesse, and Ryley. Kristin McKay is a graduate of Northern Michigan University with a BS in Nursing. 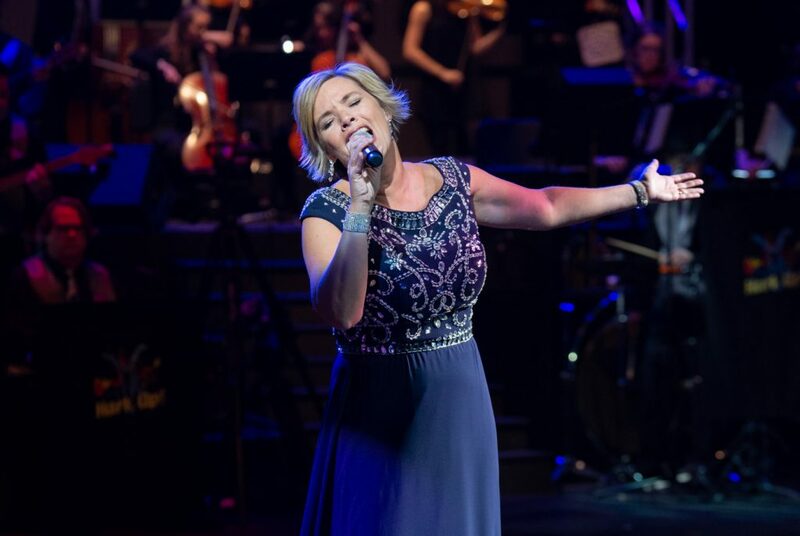 Kris spent her student days balancing her time between music and nursing, and her professional life continues to be more of the same. She is an active performer in the area and also manages the many Hark Up Music ensembles. She has been part of the Hark Up production team since the beginning in 1999 and has performed in every show. Kris works full time as a Registered Nurse for Spectrum Health Medical Group Cardiovascular Medicine, Electrophysiology. She and her husband Larry have 3 grown children and 3 precious grandchildren. Melia Merrill is a wife, homeschooling mom of a 10 year old and no longer homeschooling mom to a 21 year old junior at NMU. She has also been the Business Manager for Storytelling Pictures for the last 12 years. Melia is the original stage manager of the first 9 years of Hark Up and after a child-raising hiatus, returned last year. We are blessed to have her. Keith has been an active member of musical communities since a young age. Starting at age three he lead worship at his church and went on to sing in high school and college choirs. He took piano lessons for 12 years and was a percussionist in Marching Band and Symphonic Band. He was a member of a Collegiate Christian Rock group where he wore many hats. He received his Bachelor of Arts in Communication from Hope College. Keith has been a member of Hark Up for over 10 years. Jenna has been involved with Hark Up since 2010. She graduated from South Christian High School in 2018 where she was involved with SCHS Drama. She served as a member of the crew for 6 productions and stage managed both ‘Little Women’ and ‘The Sound of Music.’ She is currently studying cosmetology at Tulip City Beauty College, is the head Varsity Cheer Coach at South Christian, and helps out with student ministries at inSpirit Church in Byron Center.